Back in 1981, just 13 percent of chief administrative officers in government were women. Since then, that number hasn’t budged. It’s staggering to see what little progress has occurred in advancing the roles of women in government. Even with what appears to be a big diversity push across the nation, the most qualified and tenured women tend to peak by the time they reach roles such as assistant city manager, finance director, or human resources director. One of the main causes of this gender imbalance is psychological. Research shows that women feel most comfortable applying for jobs when they’re 100 percent qualified. Men, on the other hand, feel they need to meet only some of the qualifications to apply. Men aren’t worried about the skills they don’t yet have, while women believe they need to already have the skills or experience to be worthy of a position. Even when women possess all the required skills, they discount their abilities. They don’t enjoy tooting their own horns or asking for what they want — unlike men, who naturally request promotions and raises. Another factor contributing to this imbalance is a general misconception regarding family obligations. Top jobs tend to demand high availability along with personal and family sacrifices — and women are traditionally seen as the ones who will put their professional lives on hold. These barriers are not only in the minds of women who wish to advance, but they’re also propagated by organizational cultures and leadership styles of both men and women. For a woman who seeks a top job, the challenges are both internal and external — quite a lot to overcome even with strong experience and confidence. The absence of female leadership hinders financial performance and creates organizationwide inefficiencies. Without women, government management lacks the diversity necessary to make comprehensive, intelligent decisions — meaning higher turnover and lower productivity. Studies have also shown that men and women work and feel better in gender-diverse groups. According to author Scott Page, research indicates that an organization’s productivity and innovation is positively affected by greater gender diversity. Benefits include broader employee perspectives, stronger team performance, and better problem-solving. Some of these benefits come from differing views among leaders and employee groups. These views, especially when coupled with improved collaboration and teamwork, can also result in increased innovation. Cultivate an inclusive culture. Talking about diversity and creating a plan is just the first step. Organizations must fully adopt their diversity missions from top to bottom. Every corner of an operation should know the plan and how to live it out day-to-day. Leaders should implement education programs and personally communicate the importance of encouraging diversity. If you lead by example, management and employees will follow suit. Communicate mindfully. Every piece of communication, including job postings, should be gender-inclusive and empathetic to every employee and prospect. If this isn’t your strength as a leader, recruit some help from HR or your diversity team. Identify potential early. 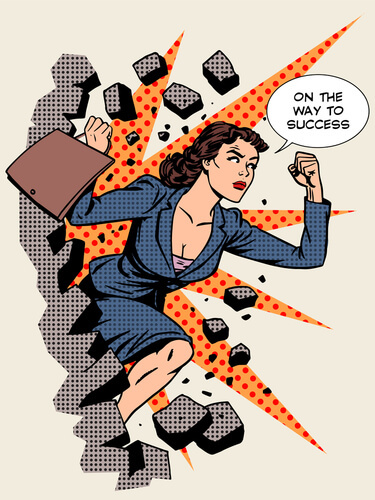 HR departments and all managers should constantly be on the lookout for high-performing women. Teach the best of them how to shed their limiting beliefs, and help them break out of the typical mold. Leadership will benefit from this just as much as these high-performing women will. Grow your succession plan. After you’ve spent years cultivating your gender-inclusive culture, if your succession plan is just a list of candidates, you’re missing out on a wide array of opportunities. Your succession plan should be an integrated part of your organization’s business strategy to positively affect long-term objectives. Continuously identify future leaders, and ensure that current leadership passes on wisdom and insight so that when key individuals step down, the legacy of inclusion will continue. By adopting diversity at the core of government leadership, we’re helping women and improving the performance of the public sector as a whole. With the continued efforts of men and women, leaders and employees, we can make 2016 the year diversity becomes a competitive advantage. This article was written with Janice D’Aloia, vice president at Mo’mix Solutions.